As an author, educator, consultant, coach, and speaker, Greg McCann works with family enterprises in the areas of succession, communication, conflict resolution, gender issues, and with a special emphasis on helping the next generation succeed in both their careers and lives. Greg has helped numerous family enterprises transition to future generations. By including all involved members of the family and the business in the consulting process, he ensures that all perspectives are considered. Thus his clients are able to identify key issues, which can then be addressed directly and honestly in the context of long-term family relationships. Greg was founder and director (1998-2006 and 2010 to 2014) of the Family Enterprise Center at Stetson University, where he led the effort to develop the nation’s second minor and first undergraduate major in Family Business. He continues to serve as a tenured full professor of Business Law and Family Enterprise at Stetson University. Greg addresses national trade associations, universities and family business forums on Leadership, Character, Generational Opportunities and Family Enterprise. He also speaks about “Applied Intelligence,” “The Life Plan,” “Character,” “Personality, Power and Persuasion in Family Enterprise,” “Process Consulting and Working with Families,” and “The Next Generation: Its Biggest Challenges.” He speaks with the voice of experience—in an approachable and humorous, yet highly focused style. 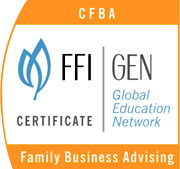 As a researcher and author, Greg McCann has published many valuable works on family enterprise and is a regular contributor to Generation Magazine, Family Business Magazine, and Family Business Review, a quarterly business journal published on behalf of the Family Firm Institute. His most recent book, Who Do You Think You Are?, is about aligning your character with your reputation. His previous book, When Your Parents Sign the Paychecks, deals with the challenges faced by the next generation in family business. The work received a bronze medal in the career category at the 2008 Axiom Business Book Awards. 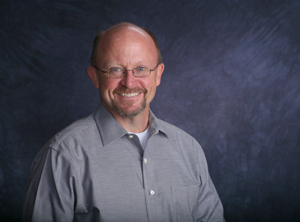 Greg is member of the National Speakers Association and is certified in, has presented extensively, and has written about the Myers-Briggs Type Indicator, including special applications to family business. He is a certified Leadership Agility 360 Coach. Greg is a graduate of Stetson University (B.A.) and the University of Florida, College of Law (J.D.) and has served on the Board of Directors of the Family Firm Institute (FFI) (2005-2008). He was awarded the institution’s 2006 Barbara Hollander Award acknowledging him for a lifetime of achievement in family enterprise education. 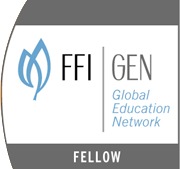 He is a FFI Fellow and also certified in Family Business Advising and Family Wealth Advising from the Family Firm Institute, Inc.
McCann and Associates provides services to universities and other audiences, offers family business consulting, and conducts customized workshops for family enterprises.